Upgraded character mobility - Vinnie has received a massive upgrade in his mobility features. 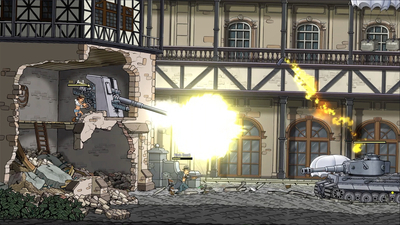 360 aiming, double jumping, kicking, jump-kicking, dodge rolls, somersaults, dual guns and a weapon wheel. Campaign mode - Guns, Gore & Cannoli 2 features a full single or multiplayer campaign mode, packed with action, humor and animated cutscenes. Rich environments - We pushed our artists to the limits to produce the best immersive, atmospheric backgrounds, smoothest animations, and coolest special effects, setting a new benchmark for 2D games. 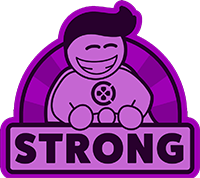 Look for opportunities to bring down walls, explode barrels, drop crates on top of enemies, blow up cars and even kick your enemies through doors. Enjoy watching the corpses of your enemies fly through the air like ragdolls after you blast them away with your rocket launcher. Immersive world and period - Walk around in the European battlefields of World War 2. Every level of Guns, Gore & Cannoli breathes the 1940’s. Every inch of the game is like a picture straight from the second World War era. The cars, the furniture, the speakeasy clubs, the music, the propaganda posters, the streets and the weaponry reflect the turbulent time that the 1940’s were. Online and local Co-op mode - You don’t want to die alone in the trenches? Well round up a platoon of 4 players and get blasting. Play as Vinnie in the solo campaign, or with up to 3 friends together while fighting through hordes of Nazis, zombies, monster, gangsters, cops, soldiers, tanks, submarines... in this all-new and incredibly fun arcade-style co-op action game. Teamwork is essential to surviving waves of enemy goons. 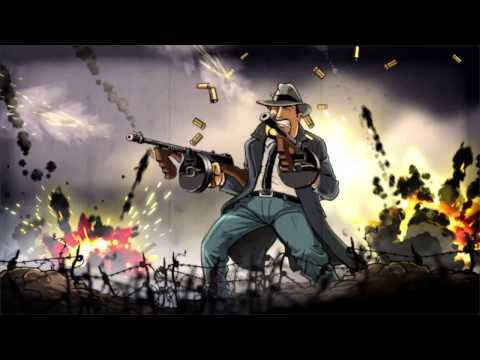 Humor - ‘War is hell’ unless you are Vinnie Cannoli and you turn every problem into a cynical joke, blurting out one-liners and snappy comments after a nice, juicy kill. 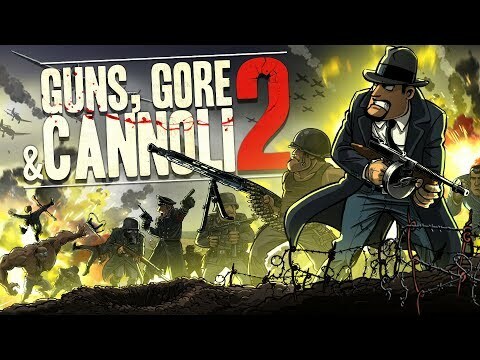 Guns, Gore & Cannoli 2 will be a fun experience, not only to play but also to watch. Funny one-liners, screaming deaths, comical dialogs and hilarious enemies make you play this violent kill-simulator with a smirky grin on your face.